Perovskite solar cells - a true alternative to silicon? (Nanowerk Spotlight) The growing need for ‘green’ energy sources combined with silicon solar cells’ stagnating power conversion efficiencies have lead to a keen search for an alternative to silicon that would bring about a major change. Perovskite solar cell technology, boasting potential for high efficiency, low-cost scalable photovoltaic solar cells, may just be a suitable contender in this race. Perovskites, a class of materials that share a similar structure, display a myriad of exciting properties that position them as attractive candidates for enabling low-cost, efficient photovoltaics (PV) that could even be sprayed onto rooftops and various other surfaces. Perovskite solar cells have made enormous advancements in the last few years. In 2009, perovskite solar cells converted around 3.8% of sunlight into usable electric power, but constant advancements have brought its efficiency to about 20% by the year 2014 and work is still vigorously taking place. Nowadays, they are regarded as the rising star of the photovoltaics world and of huge interest to the academic community. Perovskites are also predicted to play a role in next-gen electric vehicle batteries, sensors, lasers and much more. A perovskite solar cell is a type of solar cell, which includes a perovskite structured compound, most commonly a hybrid organic-inorganic lead or tin halide-based material, as the light-harvesting active layer. Perovskite materials are usually cheap to produce and relatively simple to manufacture. Perovskites possess intrinsic properties like broad absorption spectrum, fast charge separation, long transport distance of electrons and holes, long carrier separation lifetime, and more, that make them very promising materials for solid-state solar cells. Perovskite solar cells are causing excitement within the solar power industry with their ability to absorb light across almost all visible wavelengths, exceptional power conversion efficiencies already exceeding 20% in the lab, and relative ease of fabrication. Perovskite solar cells still face several challenge, but much work is put into facing them and some companies are already talking about commercializing them in the near future. What are the advantages of Perovskite solar cells? Put simply, perovskite solar cells aim to increase the efficiency and lower the cost of solar energy. Perovskite PVs indeed hold promise for high efficiencies, as well as low potential material & reduced processing costs. A big advantage perovskite PVs have over conventional solar technology is that they can react to various different wavelengths of light, which allows them to convert more of the sunlight that reaches them into electricity. Perovskite PV essentially started with the breakthrough research of 2012, and in the space of a few years they have managed to achieve power conversion efficiencies comparable to technologies and materials that have been around for nearly 40 years. The dramatic rise in efficiency is significant and impressive, and seems to be continuing in labs around the world. Another key advantage is energy utilization, or how much of a photon’s energy is lost in the conversion process from light to electricity. For standard excitonic-based, organic-based solar cells this loss can be as high as 50% of the absorbed energy. However, perovskite-based solar cells demonstrate a loss that is far lower. Perovskite-based PVs are rapidly approaching the same level of photon energy utilization as the current leading monolithic crystalline technologies like silicon and GaAs. Furthermore, they also have the potential for much lower processing costs. Moreover, perovskite-based solar cells offer flexibility, semi-transparency, tailored form factors, light-weight and more. Naturally, electronics designers and researchers are certain that such characteristics will open up many more applications for solar cells. What is holding perovskite PVs back? Despite its great potential, perovskite solar cell technology is still in the early stages of commercialization compared with other mature solar technologies as there are a number of concerns remaining. One problem is their overall cost (for several reasons, mainly since currently the most common electrode material in perovskite solar cells is gold), and another is that cheaper perovskite solar cells have a short lifespan. Perovskite PVs also deteriorate rapidly in the presence of moisture and the decay products attack metal electrodes. Heavy encapsulation to protect perovskite can add to the cell cost and weight. Scaling up is another issue – reported high efficiency ratings have been achieved using small cells, which is great for lab testing, but too small to be used in an actual solar panel. A major issue is toxicity – a substance called PbI is one of the breakdown products of perovskite. This is known to be toxic and there are concerns that it may be carcinogenic (although this is still an unproven point). 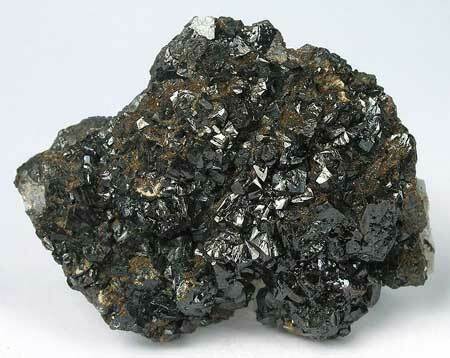 Also, many perovskite cells use lead, a massive pollutant. Researchers are constantly seeking substitutions, and have already made working cells using tin instead. (with efficiency at only 6%, but improvements will surely follow). While major challenges indeed exist, perovskite solar cells are still touted as the PV technology of the future, and much development work and research are put into making this a reality. Scientists and companies are working towards increasing efficiency and stability, prolonging lifetime and replacing toxic materials with safer ones. Researchers are also looking at the benefits of combining perovskites with other technologies, like silicon for example, to create what is referred to as “tandem cells” in which the advantages of two different technologies are used to create better performing cells. Perovskite solar cells have yet to reach the market, but progress towards commercialization seems promising, and many analysts believe that in 2-3 years perovskite PVs will emerge as a true alternative to silicon-based panels. In November 2016, UK-based Oxford PV acquired the former thin-film production site of Bosch Solar in Germany, to establish a fab with pilot-scale capacity for perovskite wafers. The plan is to ramp up Oxford PV’s perovskite technology to industry-standard wafer size. In September 2015, Australia-based organic PV and perovskite solar cell (PSC) developer Dyesol declared a major breakthrough in perovskite stability for solar applications. Dyesol claims to have made a significant breakthrough on small perovskite solar cells, with “meaningful numbers” of 10% efficient strip cells exhibiting less than 10% relative degradation when exposed to continuous light soaking for over 1000 hours. Dyesol was also awarded a $0.5 million grant from the Australian Renewable Energy Agency (ARENA) to commercialize an innovative, very high efficiency perovskite solar cell. Also in 2015, Saule Technologies signed an investment deal with Hideo Sawada, a Japanese investment company. Saule aims to combine perovskite solar cells with other currently available products, and this investment agreement came only a year after the company was launched.